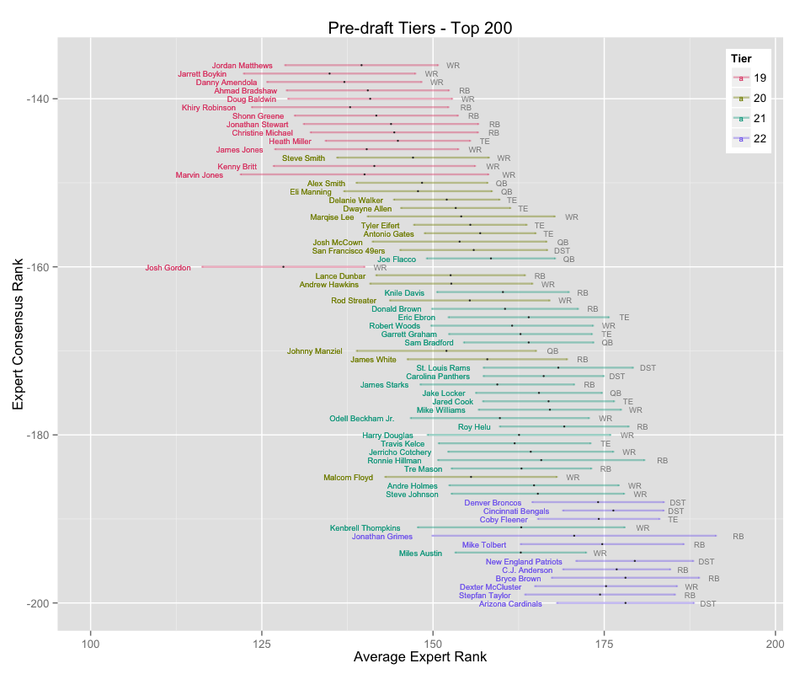 Here is an update to the tier charts and sheets. I've tried to make this round colorblind friendly. 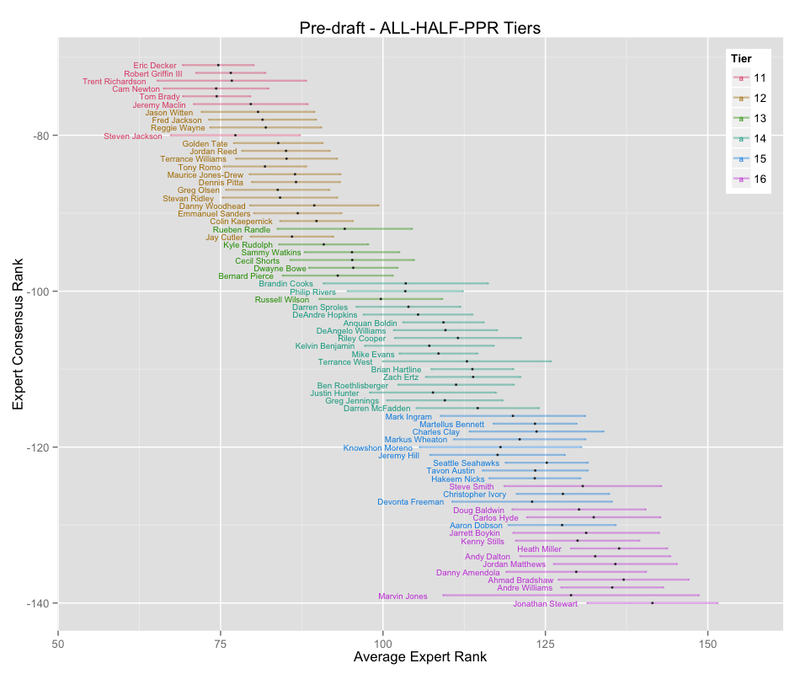 Summary of the model: I apply a machine learning clustering algorithm called the Gaussian mixture model to an aggregation of expert ranking data provided by Fantasypros. 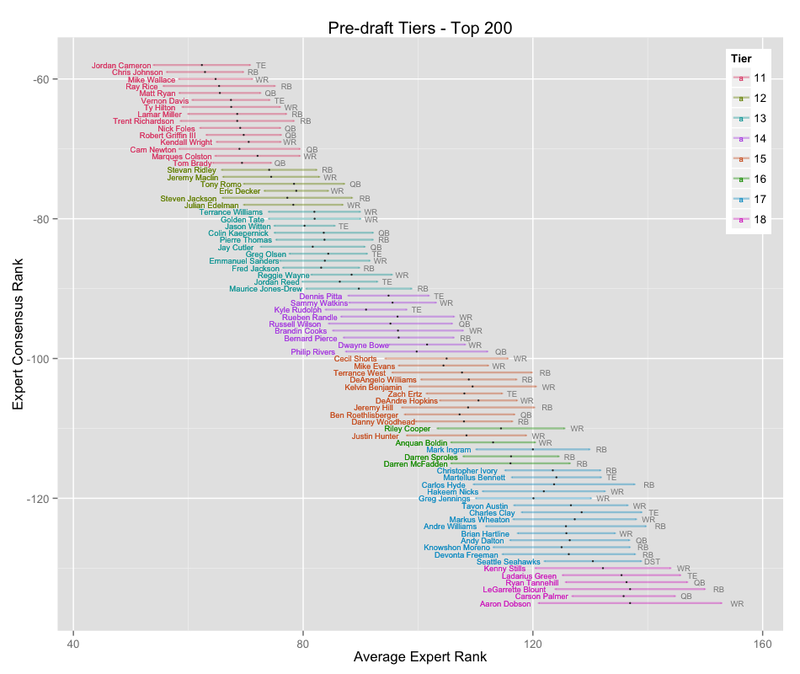 The algorithm finds natural tiers and clusters within the data. 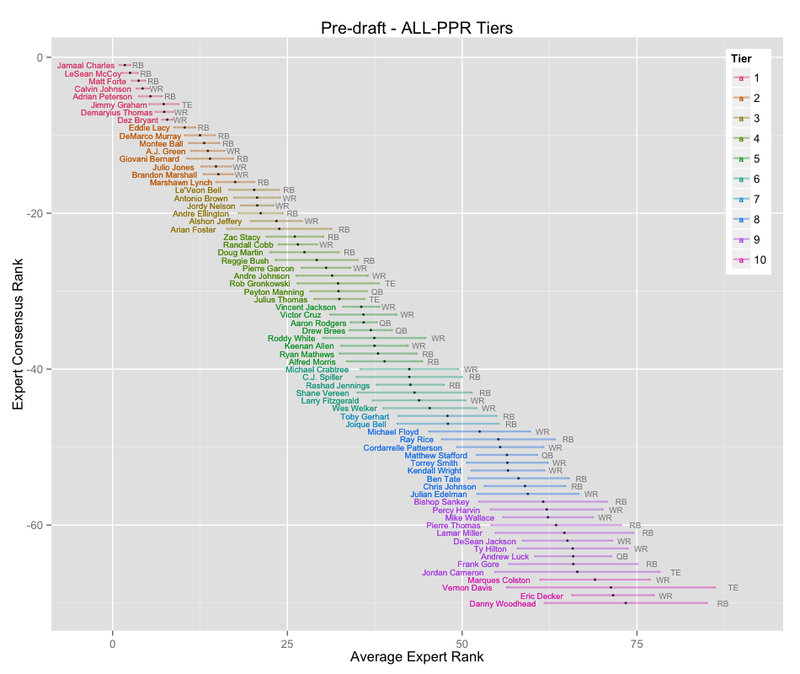 The charts that result visualize the tiers and can help you draft your team. (1) Quarter back is deeper this year than last year. Last year we had 12 solid quarterbacks, this year we have 15, going down to Ben Roethlisberger. This doesn't even include players like Tannehill who many have called as underrated this season. Outside of the top three, there are high expectations from Stafford and Luck in tier 2. If none of those top five drop to you, I would argue there is no need to look at quarterback until round 10 or 11, as at least some of the top 15 should should be available then. (2) Running back looks thinner than last year. We have 15-20 reliable starters, falling off at either Andre Ellington at 15 or Rashad Jennings at 20. Last year we were looking at 22 solid running backs in the preseason. 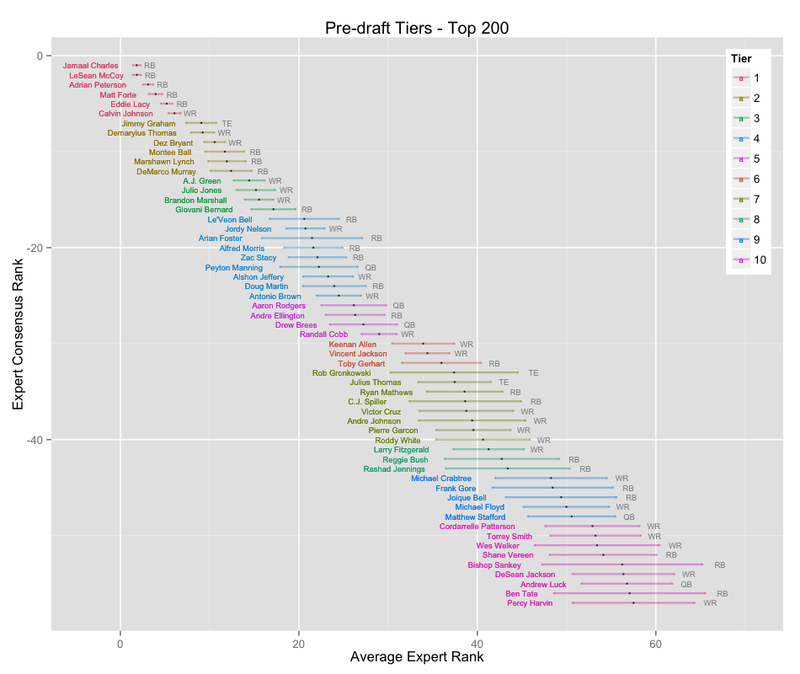 If you don't get two of the top 20 this year, you should plan on grabbing a few extra in the mid rounds. (3) Wide receiver appears to be deeper this year. The top 4 tiers (24 wide receivers) through Desean Jackson should be a lock for solid production. 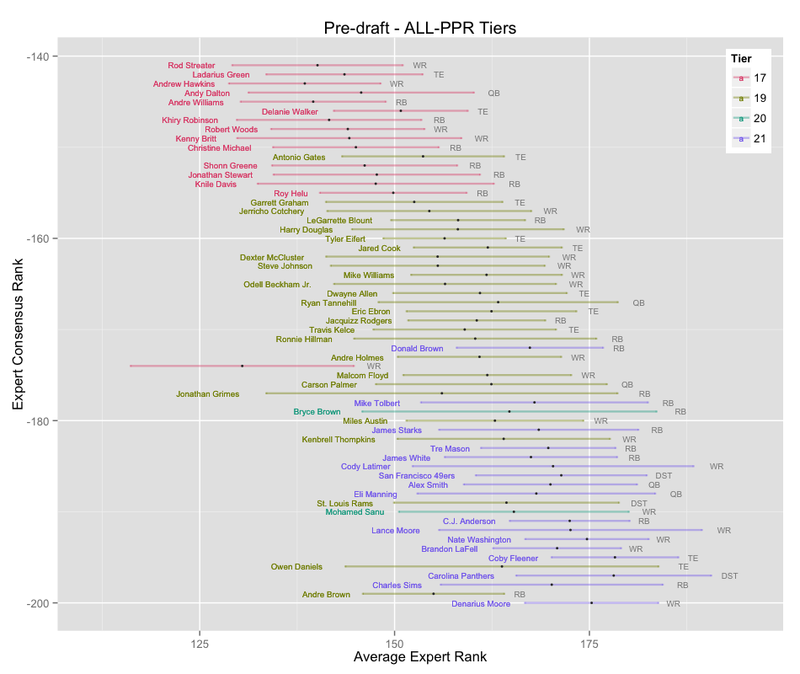 I also expect around half of the tier 7 and tier 8 receivers to become solid WR3s. 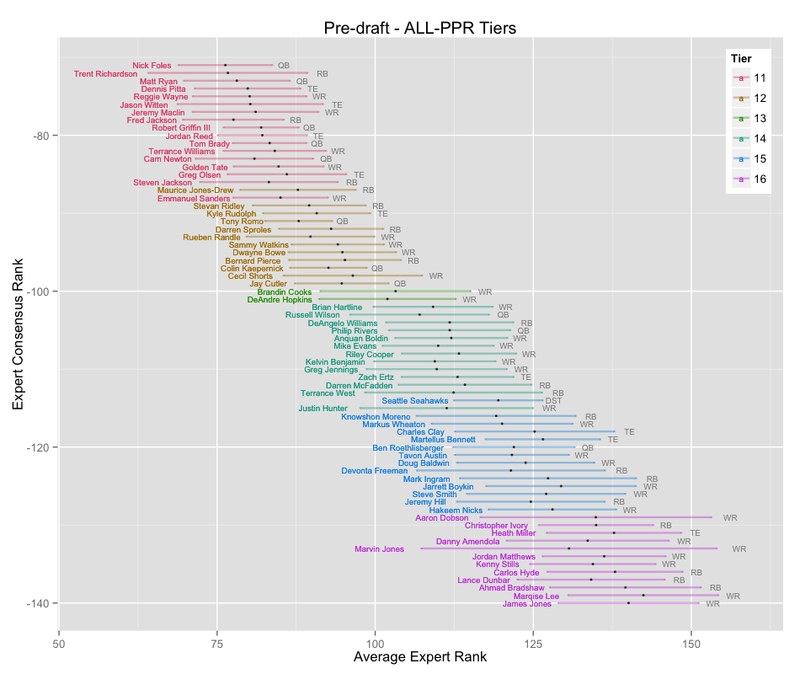 (4) Taking a look at expert accuracies on fantasypros, it's interesting to see kicker preseason/draft accuracy trump defense preseason accuracy. 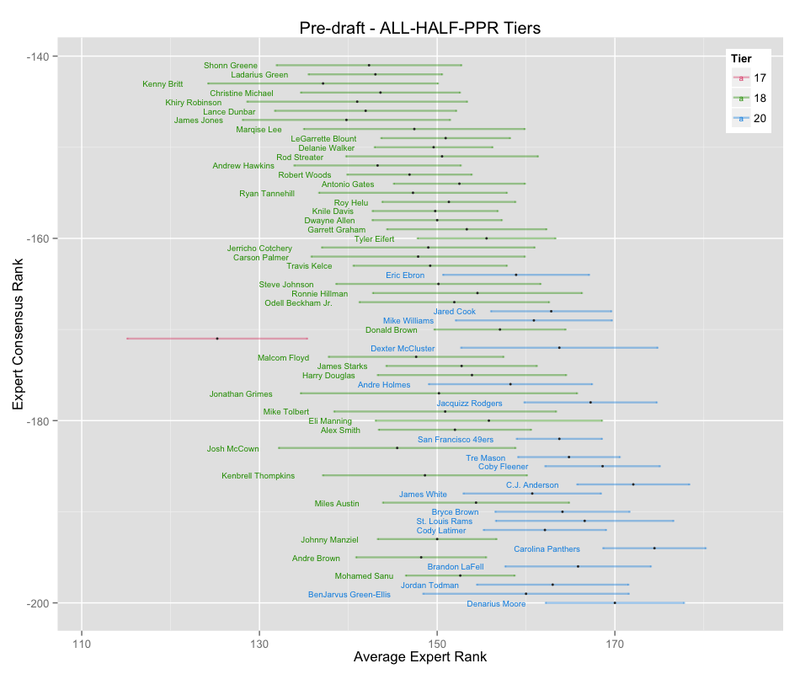 This suggests that it may be worth considering taking K in round 14 and DST in round 15 (aside from the tier 1 DSTs). 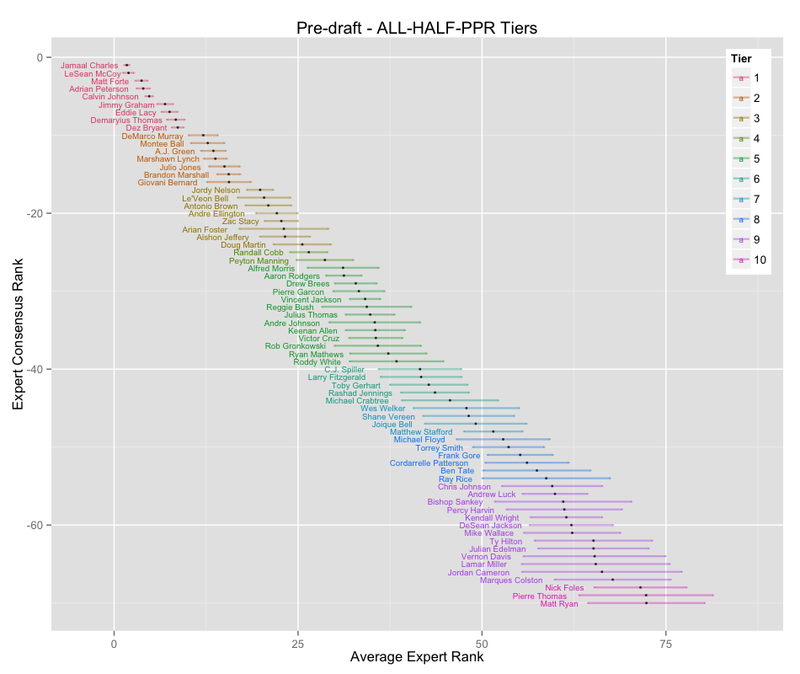 Also, Jay Zheng has created a great draft tool based on this data which I am considering personally using, check it out here.